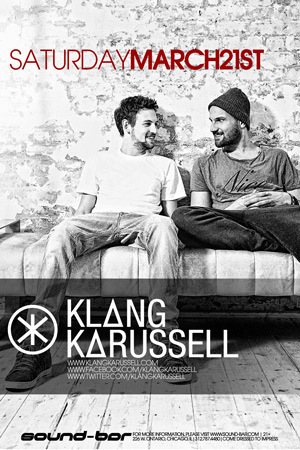 Klangkarussel joins us for their long awaited Chicago debut on this very special Saturday. These guys have been making waves all the way from Austria topping the charts in several different countries in Europe. Be sure to come check it out! With No RSVP: $20 General admission. RSVP for free cover before 11:30pm and receive a complementary party package. $10 from 12-1am, $20 after w/ Password. Want to set up something special?